The authors continue the book series ‘Contemporary Fundamental Physics’ through Nova Science Publishers. The editor is Professor Doctor V. V. Dvoeglazov from Universidad de Zacatecas, Mexico. The thematic issue, “Relativity, Gravitation, Cosmology: Foundations”, contains articles related to contemporary problems of modern physics. The book includes an editorial introduction and 10 chapters. The old problems are considered in quantum field theory and gravitation theories. So, the authors restore time connection in physics that has been decoupled over the last twelve years. 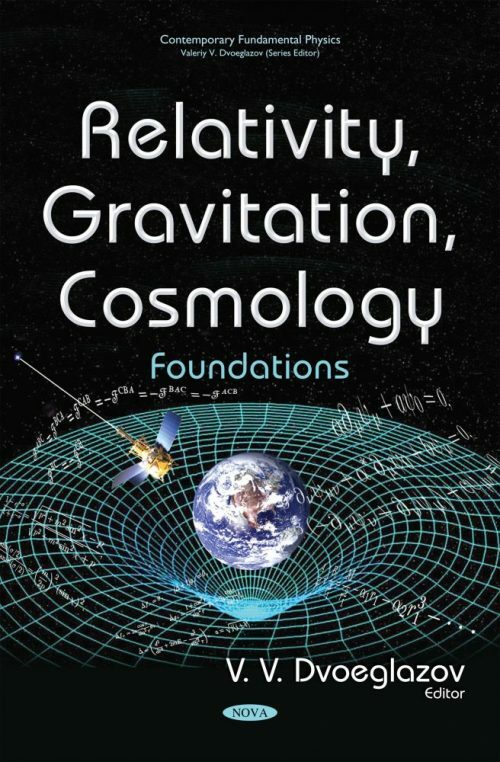 This book may be considered as a continuation of books in our Series on Relativity. LHC Card Games: Bringing about Retrocausality?